A pet cremation service may mean different things to different people. You are not always guaranteed to get the service you expect – please read on to find out why. 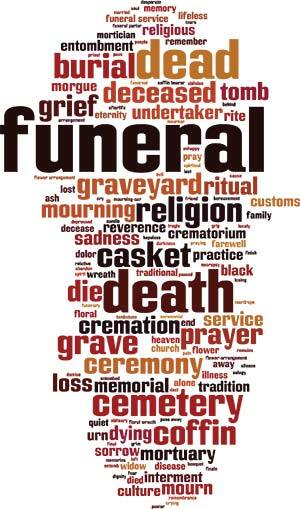 Sounds simple, but death and funerals can mean so many things to different people. Certainly, in the pet sector, it hides a multitude of different ideas, methods and misunderstandings. What does the cremation involve? The operator places one body at a time into the cremation chamber. On completion, they sweep the ashes meticulously from the chamber leaving nothing visible behind. It is important to have qualified, trusted people carrying out the process. It is one less item to concern the bereaved. This simple system applies if you take your loved one to the crematorium, hand the body over and collect the ashes at the end. But, for most people, it is all part of the funeral service. Simple or elaborate it generally consists of the loved one being collected, stored and possibly laid out for viewing. They are then transported to the crematorium where the cremation takes place and the ashes packed into the chosen container, urn or casket. Cremation may refer to the burning of the body but, for most of us, it incorporates the respectful funeral service of our loved one. We have grown up to expect this service from funeral directors. So when we see a cremation service for our pets advertised or offered to us then we expect it to involve a respectful service similar to one for people. After all, although they are not people, pets are part of the family. This is where problems occur. The reality is that pet cremation services can mean anything that involves the burning of bodies. At one end of the scale, drivers pile bodies in the back of a van and deliver them to a large incinerator where they are stored in wheelie bins. The crematorium piles them into the incinerator and stores the remains in a skip before sending to a waste site for final disposal. At the other end, a driver personally collects your pet and delivers to the crematorium, ensuring the body is carefully handled. The crematorium performs a completely individual cremation. The operator then meticulously collects the remains so nothing is lost, prepares them to a fine ash and packs them into your choice of casket or urn. In between, we have varying standards – being careful with some processes but not so careful with others. 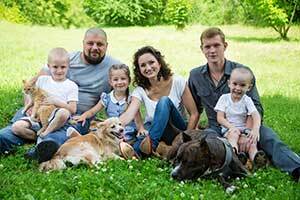 How do you know you getting the pet cremation services you want? So how do you know what you are getting when you book one of the pet cremation services? In most cases, you don’t. There are no regulations governing what a pet cremation service is or is not. However, there is one piece of legislation that should protect you. There is also an organisation who provide detailed standards backed by inspections. The Consumer Protection from Unfair Trading Regulations requires all services be fully described. They forbid aggressive or distress selling tactics – particularly important for the bereaved. You must receive a full description of the service you are getting including collection, handling and what happens with the cremation and the ashes. There is nothing to fear in reading about a proper cremation service – you will simply feel reassured. Pet cremation services that contain “gruesome details” are not respectful. On the other hand, you may just want a simple disposal of the body and are not concerned about handling. The service should, therefore, be described as such. The alternatives are all out there so it is worth looking around for those selling the services properly. The Association of Private Pet Cemeteries and Crematoria have a very clear Code of Practice and Consumer Protection Code which spells out what you can expect from their members for the cremation service of your pet. This is confirmed through an independent inspection scheme. There is no other organisation that gives you so much protection and information.